Many podcasters struggle with increasing their ratings and reviews because it’s something that is supposed to come “naturally”. Even though it can be the case for some podcasts, you can simply implement some tactics and skyrocket your results. Before we jump into the practical tactics and strategies you can use to increase your ratings and reviews, let’s first understand why they matter. As we know, social proof is the idea of normative social influence, where we are more likely to trust or distrust something based on other people. Since there so many podcasts that listeners can choose from, social proof matters more than ever. Put yourself into the shoes of a potential listener, who is just browsing through one of the categories. As they are going through many different shows, they’ve narrowed it down to 3 podcasts that look interesting. Most listeners would obviously pick the show with most reviews because of the invisible force of social proof. People know that their time is valuable so they would rather listen to something that is proven by others. The same way adding testimonials to a landing page can improve a website’s conversion, having positive reviews & ratings on your show can attract even more people towards your show. Many podcasters have the goal to become the go-to person in the specific industry they are in. Even though, it takes a long-time to become that person, having a lot of positive reviews and ratings can show that you probably know what your doing. If you run an interview-style show, and reach out to world-class guests, you’ll quickly realize how challenging it can be to book some of these people. Since iTunes doesn’t show the listener data publicly, ratings and reviews are the first thing that pop-up. In fact, most PR firms and managers of a-list celebrities will not even get back to your pitch for the interview request if your show doesn’t look authoritative. The safest way to make sure that you and your show comes across trustworthy is to have a good amount of positive reviews and ratings. There’s a lot of debate in the podcasting world, whether reviews and ratings give you a higher place in the charts. 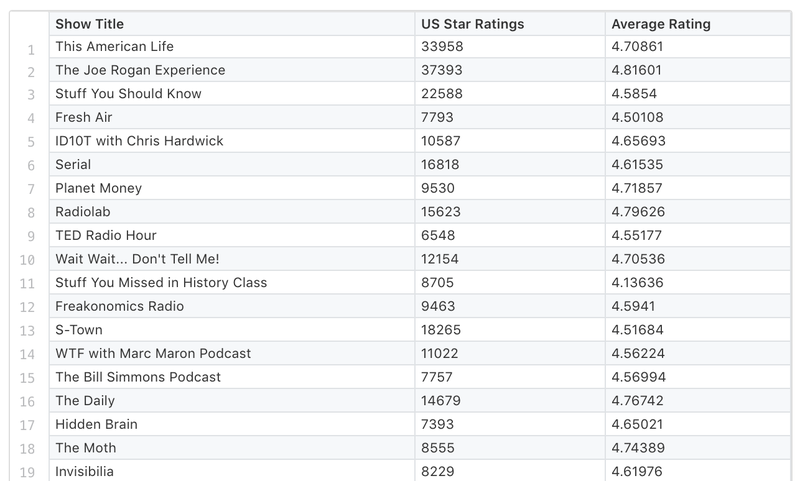 What we do know is that “Top Podcasts” are heavily ranked by new subscriptions and the overall search results are ranked by total lifetime subscriptions. Even though, many people seem to argue one side or another very passionately, the fact is that there isn’t conclusive evidence whether reviews and rankings matter can raise you up in the charts. Honestly, I wouldn’t be surprised if there was an algorithm in place that that sees ratings and reviews as important social signals that have some sort of correlation with the rankings. If we think about Google and how it has hundreds of different components that matter when ranking in the search engine, it’s a bit absurd to think that Apple wouldn’t care about rankings and reviews. How to get more podcast reviews and ratings? Now we’ve gone over the reasons why you should care about reviews and rankings, it’s time to get into the practical stuff. We’ve listed 7 different tactics here which all are incredible effective. A good idea is to implement every single one of them, and see what works the best for you. If you are an avid podcast listener, you’ll notice that many podcasters ask for reviews and ratings in the beginning of the episode or sometimes even in the middle. Even though, it’s better than nothing, it’s not the most optimal way to do things. Since majority of the podcasts are being consumed during a commute, it doesn’t make sense for people to stop whatever they are doing to leave your show a review. Also, you never know if someone is listening to your show for the first time, so it doesn’t make sense to bore them right away with the big request. Instead, record a quick 10-15 second segment that you’ll include at the end of the show, ideally after the “formal” part of the episode is over. This way, your listeners will remember the call-the-action much better even if they are in middle of a commute. A great example is by Courtland Allen from IndieHackers podcast, who always ends the show with the following call-to-action. "If you enjoyed listening to this conversation and you want a really easy way to support the podcast, why don't you head over to iTunes and leave us a quick rating or even a review? If you're looking for an easy way to get there just go to IndieHackers.com/review and that should open up iTunes on your computer. I read pretty much all the reviews that you guys leave over there. And it really helps other people to discover the show so your support is very much appreciated." The example above is direct, honest and it works incredibly well. 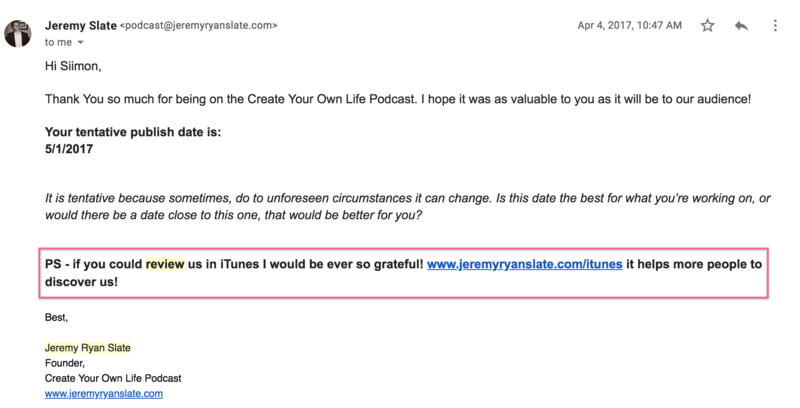 It’s always a good idea to set up a redirect through your site to iTunes, which serves two purposes. First, you can track your results and see how many clicks your call-to-action actually got. Second, you’ll make it easier and more memorable for the listeners to take action by providing a simple URL. If you are using WordPress, you can set up a quick redirect to iTunes by using plugin called “Pretty Links“. Your podcast should have show-notes, because of the SEO benefit as well as ability to quickly show the highlights of a particular episode. Also, the beauty of show-notes is that you are able to add as many call-to-actions as you want, including pitch for ratings and reviews. For instance, Melyssa Griffin from, Pursuit with Purpose podcast has been extremely successful with a simple note at the end of her show-notes. Keep things simple, have show-notes that actually provide value and include a call-to-action for leaving reviews and ratings. Don’t be shy to leverage your own personal network to increase ratings & reviews. 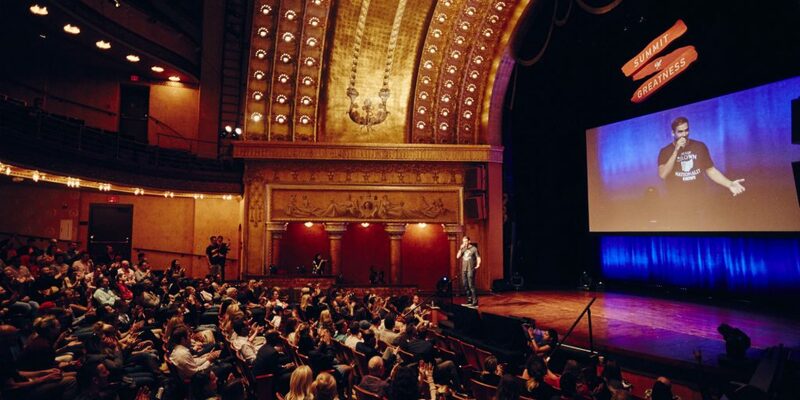 In fact, when you are just launching your show, that should be your #1 strategy to get the ball rolling. A good idea is to put together a list of people, who you think would help you out. Think of your colleagues, friends, family, maybe even people you haven’t connected for a while. Instead of sending a cold pitch out of blue and copying & pasting it to hundreds of people, you’ll have a way better chance of success if you warm up the contact beforehand. The first introductory email should get them interested about your podcast, and could end with a question provokes interest about your show. This way, the email won’t come across spammy, and I guarantee you’ll get way more sincere reviews. Depending on your network, some of the people might not be very familiar with leaving reviews and ratings or even with podcasts. That’s why it’s a good idea to put together a quick step-by-step tutorial that guides people through the process. 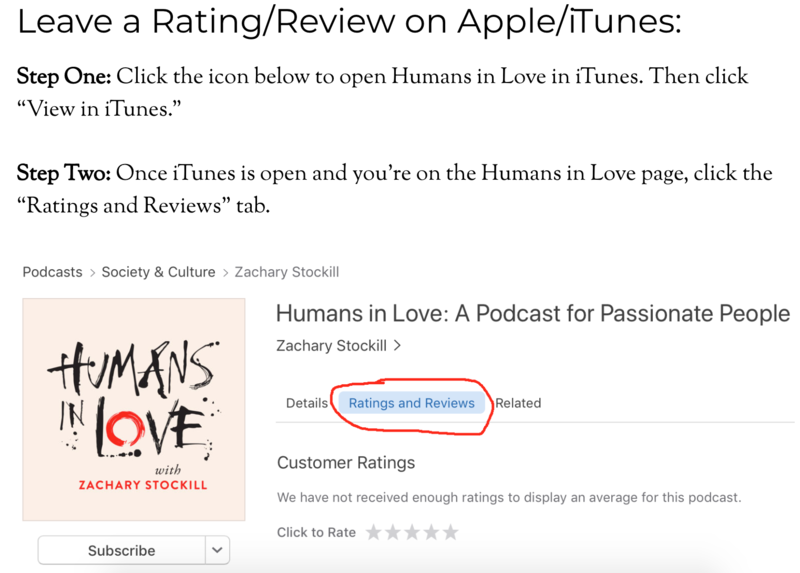 For example, Zachary Stockill of Humans in Love podcast has a separate page on his website, where he shows people how to leave a review or a rating. Even though, leaving a review or a rating might be obvious for you, it’s important to realize that not everybody knows how to do that. People like winning free stuff, especially when the prize resonates with their interests. You can leverage the power of giveaways, and you’ll be able to dramatically increase your ratings. The best part is that you don’t need to have fancy software to make it work. Simply choose a prize that you think your audience would like and pick a deadline. To verify the people and the contestants, ask your audience to send you an email with their Apple ID once they’ve left a review or a rating. This way you’ll know you can be 100% sure who took the time to be part of the giveaway. Steve Chou, the host of My Wife Quit Her Job decided to leverage this tactic and chose to do a giveaway for his signature course (valued $699) and give away one free 1-1 consulting. He launched the contest, asked his existing audience to subscribe and leave a review. Launching a giveaway might seem like a lot of work, but if you simplify things it can be a game changer. If you are like most people, you end up sending a lot of emails every single day. Why not include a simple call-to-action to your show with a note for people to leave a quick rating and a review? Even though this strategy might seem to simple, it can do wonders for you. In order to get the most of of this tactic, try out different call-to-actions, and track all the clicks. If you run an interview-style podcast, you’ll end up interviewing a lot of people from different walks of life. If there is no other tactic you’ll ever use, you’ll be able to leverage your own podcast guests and steadily add a lot of ratings and reviews. Thinking back, since I already invested quite a bit of time to do the interview in the first place and had a personal connection with the host, I didn’t think twice and left a positive review. If you run an interview-style show reach out to previous guests, and make it a habit to ask for reviews and ratings from them. 7. Most importantly, have a good show.. If you look at the some of the most popular podcasts out there, you’ll see that they have tens of thousands of ratings. 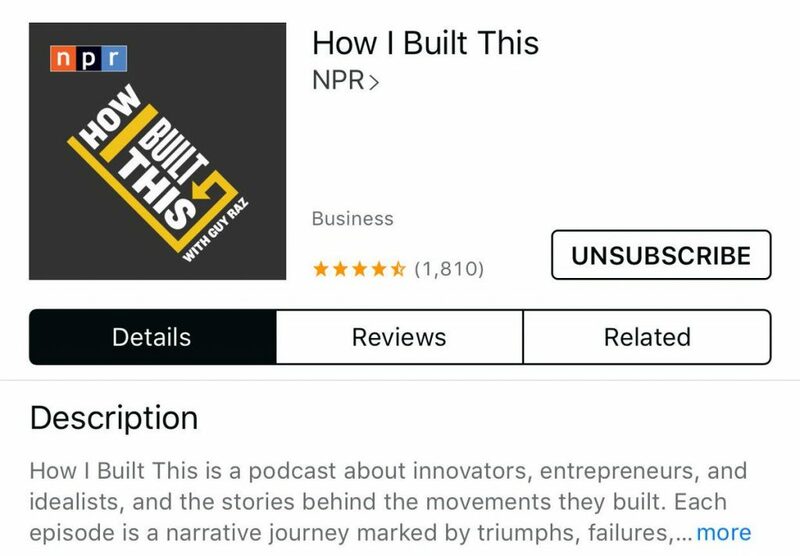 They didn’t set out to get bunch of 5-star ratings but instead they put out a show that delivers value and makes an impact on the lives of the listener. The fact is, if you put out a great episode after great episode, positive reviews will be a byproduct. As your show grows, you’ll notice some negative reviews and ratings showing up. This is part of the process, and it happens to all podcasters. There will be always people who don’t appreciate the work you’ve put or just trolls who try to bring you down. Please don’t let it discourage you. Once in a while, you’ll also come across a negative review that is actually valuable and gives you a chance to improve your show. This might be a great learning experience which can actually make a difference in a long-run. How to see all the reviews? You know the importance of having a lot reviews and ratings as well as tactics to skyrocket your results, you might be wondering, how to track all of them? That’s where iTunes falls short. iTunes automatically separates all of your reviews based on geographical location. If you have an international audience, as most podcasters do, it can get quite annoying and time consuming to go through each iTunes country page to see new updates. Fortunately there are some great tools that you can use to monitor all of your reviews and ratings with no effort. The first one, My Podcast Reviews, great software that is used by thousands of podcasters. It tracks all the reviews from across the world and then sends you an automatic email on a daily or a weekly basis. Another great tool for tracking your reviews and ratings is PodRover, a simple app that has some cool features including slack notifications and sharing your reviews automatically on social. You can choose to sign up with either of these service and keep your eye on reviews and ratings to measure the results of your work. As we’ve covered a lot in this article, we really believe that reviews and ratings play an important role your journey as a podcaster. Especially in the beginning, when everything is new and challenging, it’s so refreshing to see listeners taking time out of their days to show appreciation for your work. Even though, they might be seen as vanity metrics for many, approaching ratings and reviews with an open mind can make a big difference.